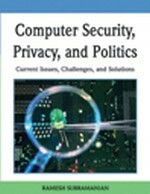 This chapter traces the development in the United States of legal protections of the right to privacy. It begins with the common law “right to be let alone” in the early 1900s and proceeds through the enactment of the U.S. Patriot Act in 2001 and the National Security Administration’s warrantless wire tapping program revealed to the public in 2005. It concludes with a discussion of emerging electronic threats to the security of privacy of the public and concomitant challenges to lawmakers and law enforcers.